Weck Cylinder 1 Litre Fermenting Jar With Fermenting Lid. I was so excited to get these Weck jars! I seriously want them in every size and shape! They are minimalistic, functional, and classic. They have helped to make my pantry more organized and more aesthetically pleasing! perfect engineering excellent seal / wide mouth makes it versatile . Oh my gosh I love love love these jars. They are adorable! My pantry looks so neat and tidy! They're the perfect size! I think I'm going to order more! Great jars for storing bulk grains and other misc. items. Love these jars! 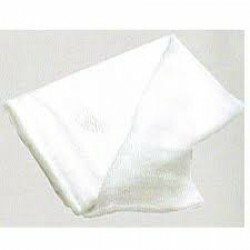 At first they were bigger than I had originally thought they would be but once I started using them they were perfect. I have been using them to store smoothies for the week. I like them better than the ball jars because there is no metal that will rust. Absolutely love this jar. I make sauerkraut in it all the time. It fits a half cabbage beautifully. The glass is very high quality and the seal great. The air lock is simple to use and has so far lasted a year being used many times. The jar fits perfectly in the door of the fridge. Love all these guys products! Bought two of these, with lids, along with a set of six weck jars. Found them to be excellent quality jars and easy to use. Love how I can ferment in one jar then, when done, seal it with its lid and move the airlock lid onto the next jar. Just love the 1ltr weck fermenting jar. &amp;nbsp;Made sauerkraut and turned out really great.&amp;nbsp;Have ordered from Ozfarmers before and would highly recommend their products. Great product, great company to deal with - thanks for all of the ideas. Note that this model differs to our previous 1 litre fermenting jar which took a medium lid. The Weck Rex 1 litre jars take a large lid instead so the lids are not interchangeable. 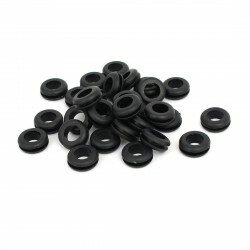 The medium fermenting lid can still be purchased as a separate item if required. Weck Jars are made with thick glass and are the only jars we stock which come certified as being free of lead, cadmium, lead and other potentially harmful chemicals. Glass lids preclude issues with rusting. All jars have wide openings for tidy, easy filling. The lid will fit any Weck large mouth jar. You will receive the lid with airlock, a rubber seal, clamps and the 1 litre cylinder jar. 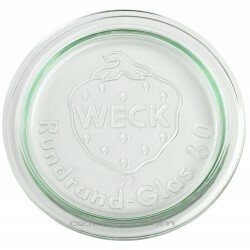 Please note that you must use Weck Jars with the Weck fermenting lid as it is not compatible with other types of jars. If you wish to purchase an extra lid or Keep Fresh lid, the correct size to order is the large size. As an optional upgrade, you can purchase the Sterilock waterless airlock with an optional odour absorbing capsule (which must be used with the Sterilock waterless airlock). More information about the Sterilock airlocks can be seen here. Note that in this instance you will not receive the plastic airlock but will receive the Sterilock instead. If you wish to receive both airlock types please purchase the Sterilock separately. 6 X 580ml Weck Tulip Jar - 744 - includes glass lids, seals and clamps1/2 litre / 580ml capacit..